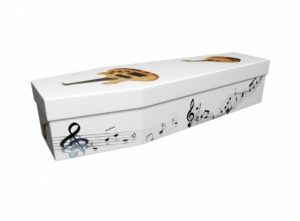 Music is such a personal thing, and some songs will remain trusty favourites for our entire lives. 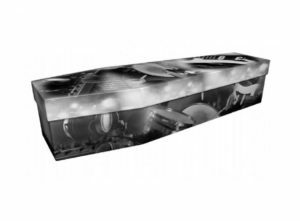 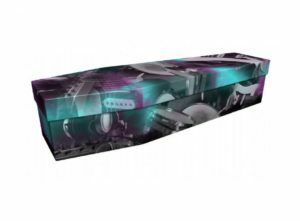 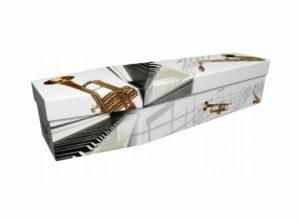 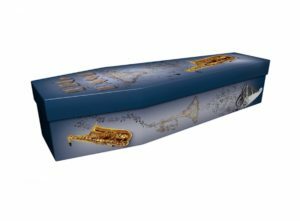 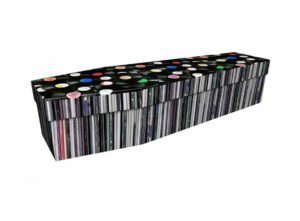 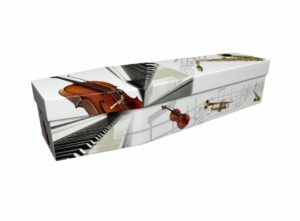 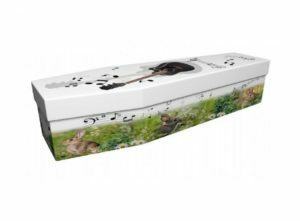 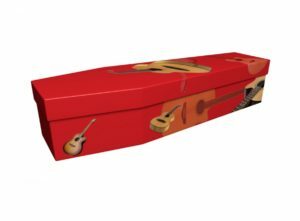 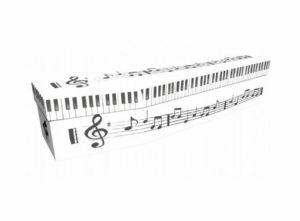 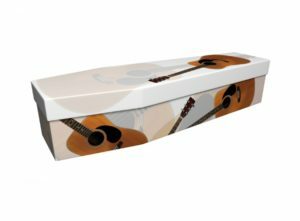 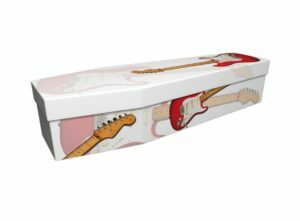 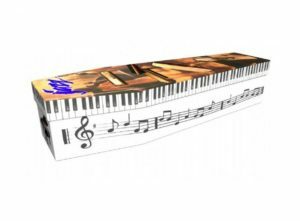 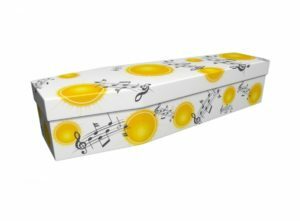 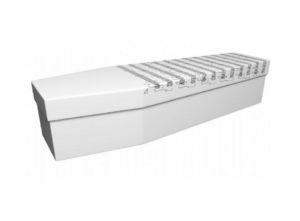 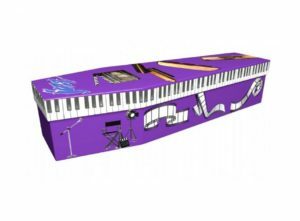 Whether your loved one simply loved to listen to music, or played instruments themselves, you can memorialise their passion for music, with a special music-themed pictorial coffin design. 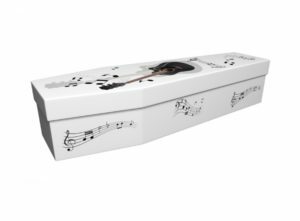 From classical to rock, from R ‘n’ B to hip hop, our experienced design team will create a design that perfectly reflects the deceased’s musical tastes. 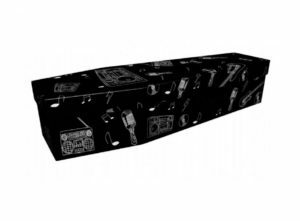 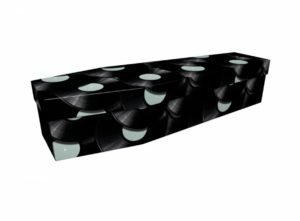 We have designed cardboard coffins depicting anything from Pink Floyd’s ‘The Dark Side of the Moon’, to a DJ turntable. 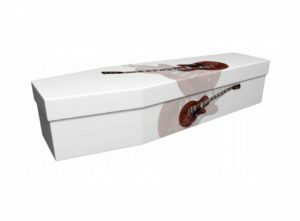 Whatever your loved one enjoyed, we can create a design to suit. 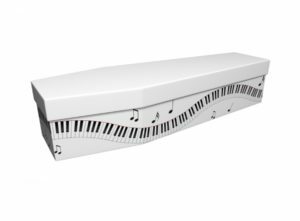 Music plays a big part in many people’s lives, which is why it can be such a fitting and personal memorial. 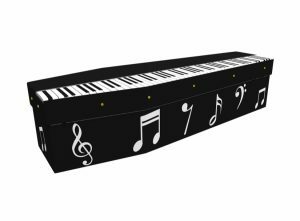 You can draw inspiration from the selection below, or you can ask our design team to develop a completely bespoke music-themed coffin. 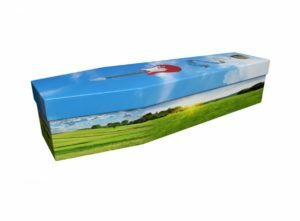 We aim to send you a visual proof by post or by email within 24 hours. 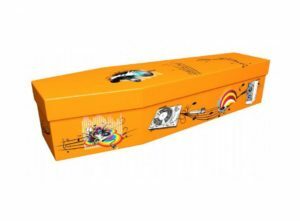 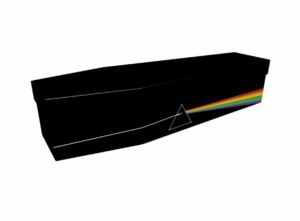 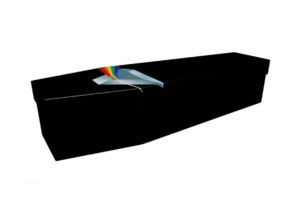 Once you’re completely happy with the design, we will work towards completing the coffin within the next 72 hours.